Sorry for the clickbait title and the provocative subtext but I can’t help but be a bit amused by the outrage this stirred up. So the thing is, the Park has started charging a fee from hikers and campers using the saunas in Luirojärvi, Anterinmuka, Tahvontupa, Härkävaara, Vieriharju and Karhuoja. You can pay at the Visitor’s Center or by calling a service number. This was in the news on March 6th and as I was typing this, there were a lot of uproar and weird arguments against the fee. Thankfully there were lots of people for the fee as well. Such a fee has been in place for a while in places like Hannukuru in the Hetta-Pallas trail and I was under the impression this was a nationwide policy. I have a certain preconception about the hikers in UKK and Hetta-Pallas and the differences between both. A crude generalization, sure but reading these comments against the fee have made that preconception even stronger. However, I’d like to mend some of these. The mess forms because the hiker using the sauna doesn’t have a full grasp on hiking manners and/or they think the wilderness has some sort of a magical cleaning service. No matter how much the sauna costs, they won’t be conducting weekly or monthly cleanups. It’ll still be on us, the hikers. So remember to educate people who don’t possess this information and more importantly, grab a broom yourself and lead by example. You can also just complain, if you like. You’ll be left with a foul mood, but it’s an option. By cleaning, you make sure the place is nice and cozy and you’ll feel better. It doesn’t hurt to try it out. Really? The 7€ fee is the biggest expense you have on your hike? What about clothes, gear, the bus ticket, the gas you needed to buy to get to Lapland? Insurance and meals? I hope you realize that there can and probably will always be unexpected expenses no matter where you go. This is why your budget should always have an extra 20 or so. And the fact that you can pay by calling a service number, means you don’t have to pay right away. It’ll be included in your phone bill. It’s also not mandatory to use a sauna, if you feel it’s too pricey. 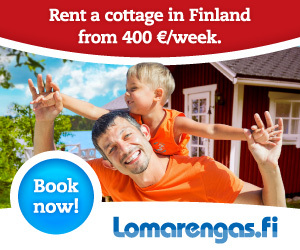 This fee doesn’t cover all the expenses having a sauna in the wilderness requires. The Luirojärvi Sauna is warm 24/7 on rush hours and firewood usage is through the roof. Now, if someone already busted out a calculator and deduced that it’s not that expensive to order firewood from Germany, you’re right. But it’s not free. They also need to be delivered on-site by snow mobile or ATV. And no, it’s not an entry fee for the Park. There are countless trails without a sauna and everything else is still absolutely free. This isn’t a new concept and at least they made the payment method extremely easily accessible. Speaking of firewood, I’d like to take this time to share an opinion about using it for mood lighting. You know, a huge fire and next to it, a Trangia. Why oh why? There was a questionnaire in a Facebook group, which presented the question: What rubs you the wrong way about hiking/hikers? Now, I try my best to steer clear of conversations like this since negativity begets more negativity more for some reason, I was pulled in. It didn’t take long to spot the smart comments about using firewood within reason. I mean, if your food is meant to be cooked on a Trangia or inside the wilderness hut, why on earth would you make a huge fire outside? If I’m in a group and they want to practice making a fire, I’m not going to stop them but just for mood lighting? And if you’re cold, you’ll be better off inside the hut! Another debate is warming up the huts like they’re a poor man’s sauna but that’s for another day. You can pay in the Kiehinen service point or Tankavaara Visitor’s Center or online. The easiest way is to call the service number. +358 606 0561519, Adult sauna fee is 6,93€ + cell phone fee. +358 606 0561520, Child (under the age of 7), or a member or a group if the group is more than 10 people, the fee is 4,01€ + cell phone fee. You receive a text message after the call is over and the fee will be included in your next phone bill. One call equals a single payment, so a group of 10 must call ten times. Olli Järvenkylä wrote about this very same issue, you should check him out as well. I felt the urge to call the number right now, as a gift and a thank you for last Fall.